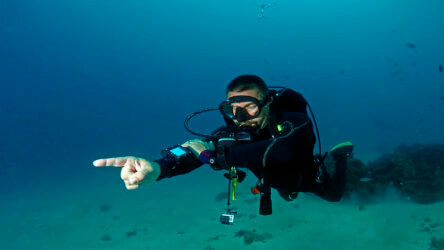 Local Dive Thailand now runs a day trip to Shark Point, Anemone Reef and Koh Doc Mai every Monday. 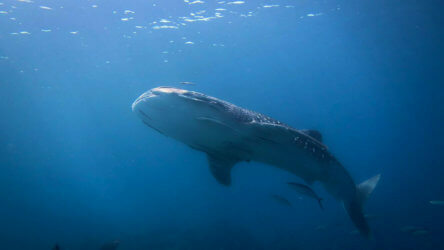 These three great dive sites are regular features on the diving trips in Phuket but rarely all on the same day and Anemone Reef is often skipped in favour of the more popular Shark Point. So we’ve had a little change to our schedule to make sure all certified divers have a chance of visiting this trio of great dive sites. The only opportunity to visit at least two of these outstanding dive sites in one day was as part of the King Cruiser day trip but this means that divers only qualified to dive 18m had to skip one dive or as is more often the case not join the trip at all. 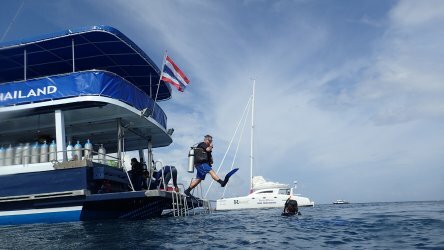 So taking the King Cruiser out of the itinerary on Mondays allows Open Water qualified divers a chance for a full days diving at Phuket’s premier dive sites. Conditions can be a little tricky especially when the current is strong but essentially any competent diver should be able to enjoy this terrific day out. 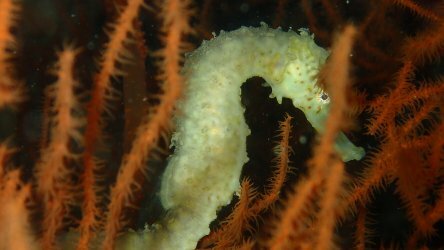 There’s very few guarantees in diving but you will definitely see some stunning soft and anemone coral patches, clownfish, schools of many other different fish species and some colourful nudibranchs, you never really know what’s going to turn up on any given day. If we take our last trip as an example then we can list mating leopard sharks, hawksbill turtle, tigertail seahorses, great barracuda, yellowtail barracuda, grey bamboo sharks, pharoah cuttlefish and tons of schooling snappers, not a bad days diving at all! The visibility wasn’t spectacular by any means but we’re coming out of a period of very heavy rain so it was too be expected and probably stopped us from seeing a lot more wildlife. 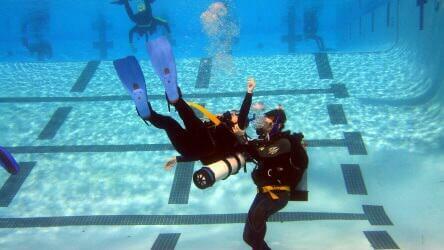 As we come into high season we expect the conditions to improve and the diving only to get better. 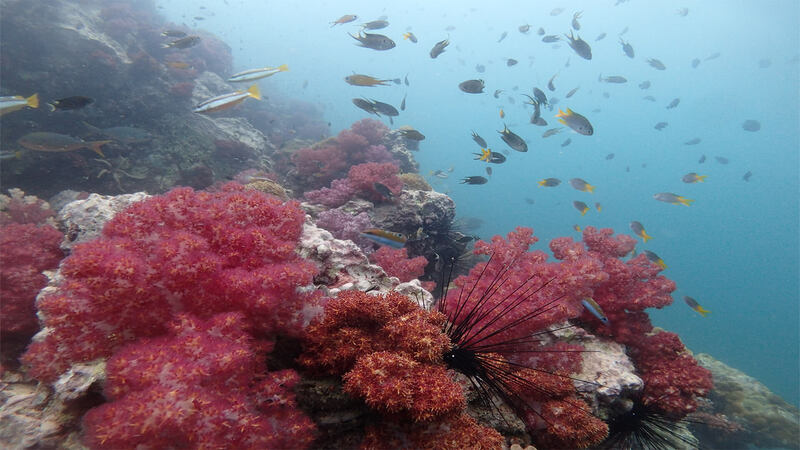 So if you’re heading over this high season be sure to check out our Monday trip to Shark Point, Anemone Reef and Koh Doc Mai and see what you can find. Posted in Amazing Local Dives on October 17, 2016 .